The weather has been rather changeable over the last few months, but autumn is now definitely here with the wind making it feel much colder. However, it’s a beautiful time of year, with the trees changing colour and the early morning mists swirling around. Sometimes it may seem pointless raking, when the wind blows even more leaves onto the lawn, but just think of all the lovely leaf mould you can make! It’s also time to start preparing for early frosts, by moving vulnerable plants into frost free environments. Once your vegetable garden is clear, dig it over and incorporate compost. Dig over your kitchen garden as soon as possible so the soil can be broken down by the winter elements. This is especially important on heavy clay soils; it also makes life so much easier in the spring, with the frost having done all the hard work for you! If you are short of compost, it is better to treat a small area properly than spread it too thinly over a larger area. Don’t waste fallen leaves – given time, they decompose into fabulously rich leaf mould – ‘nature’s soil conditioner of choice’! 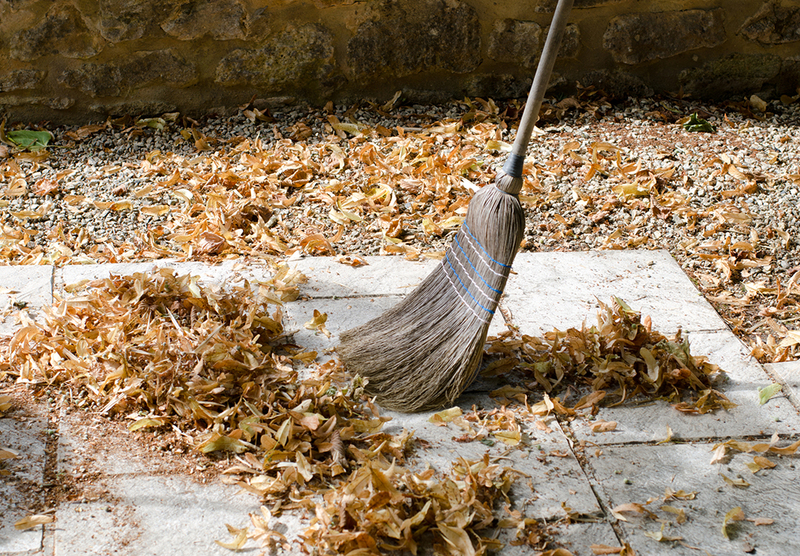 Here’s what to do…rake up fallen leaves and chuck them into black bin liners spiked with air holes – but remember to dampen the leaves first, or do the task on a damp day. Obviously you can make a simple frame with wire sides to hold leaves if you want, but black sacks work fine for me. If leaves are left to linger on the lawn for long, the grass will turn yellow. Leaf mould takes about a year to mature (2 in the case of oak leaves), makes a great top dressing for woodland plants such as rhododendrons and is an excellent and FREE home-grown substitute for peat. I keep mine for 3 years, by which time it’s broken down into really fine sweet smelling compost – ideal for sowing seeds in. Start planning your vegetable garden for next year, remember the need to rotate your crops. If you’re going to sow garlic or broad beans now, you need to make sure you sow them in the right section of the vegetable garden! Below is a conventional crop rotation plan. Our feathered friends will be starting to build their reserves for winter, so do please put out food and fresh water for them. 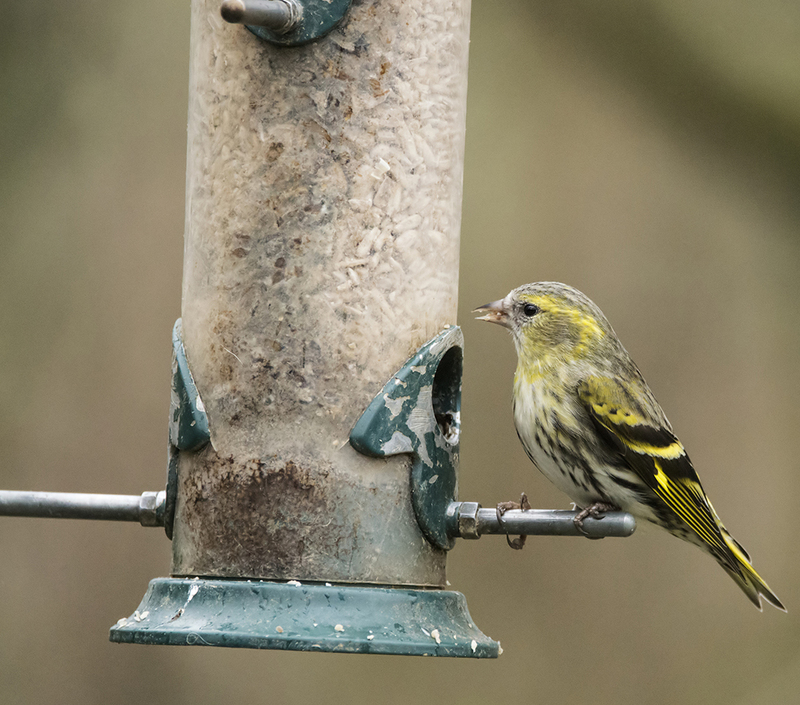 Wildlife experts recommend that we feed the birds all year round, as they soon become reliant on the food we provide. However, their greatest time of need is during winter and spring, when their natural food sources are greatly depleted. Putting out food helps them survive the chilly winter months and ensures they are in good condition for the breeding season. Choose good quality wild bird seed, bird peanuts (remember to take them out of nylon mesh bags which can trap beaks and legs), suet and fat balls (these are great high energy foods and ideal during cold weather) as well as kitchen scraps such as crushed breakfast cereals, pinhead oatmeal, uncooked porridge oats, hard fats such as mild cheese, fresh and dried fruit, cooked potatoes and cooked rice. Bread is only an ‘empty filler’ so not ideal and remember never to put out mouldy food. Also do make sure your ‘feeding station’ has good, all round visibility and is well out of range of the scourge of domestic gardens – the cat! A plentiful supply of clean water is essential for drinking and bathing; melt ice on frosty mornings with warm water, ensure the inside of your bird bath remains roughened and do remember to change the water regularly. Plant fruit trees and new sraw-berries; clear out old strawberry plants and weeds, position the newcomers a foot apart in rows wide enough apart to walk between, make sure the crowns just show above the soil, firm them in well and water regularly if dry. Dig up and split old rhubarb crowns, replanting with a good dollop of manure under each plant. Cut out the canes of black- berries, loganberries and tayberries which have fruited this year and tie in the new canes. Looking around the local hedgerows, this hasn’t been a good year for sloes as far as quantity is concerned. It’s likely that the very cold weather at the start of the year impacted on the number of bees available to pollinate. However, the warm weather later has ensured that the few sloes that are available are bigger and better than those seen for a number of years. 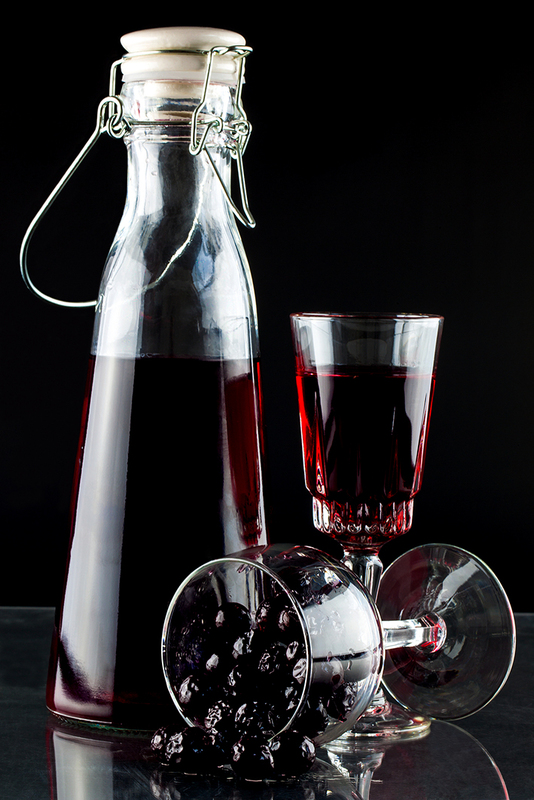 So here’s a recipe to make your own sloe gin which should certainly be ready by Christmas. You’ll need 500g of sloes, 300g of sugar and a bottle of gin.